WHY I LOVED IT: Many, including myself preferred David Lee Roth to Sammy Hagar but it’s undeniable Hagar’s vocals were on point with this late-80’s album. 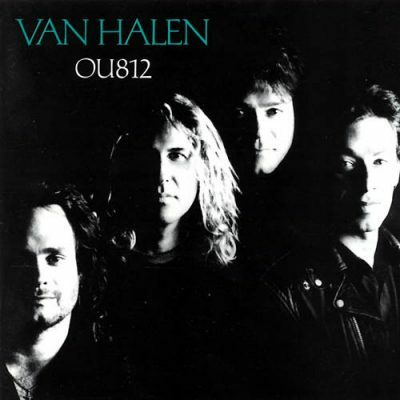 Ou812 was a bit more mainstream than some of the group’s previous work as it treaded that pop-rock terrain but was still “hard” enough to appease the majority of their rabid fan base. “When It’s Love” was the biggest single off the album but in my opinion “Finish What You Started” was the best tune—it’s signature Hagar right there. COMMERCIAL SUCCESS: OU812 reached number-one on the Billboard Top 200 albums chart. “When It’s Love” reached No. 5 on the Billboard Hot 100 and No. 1 on Mainstream Rock Tracks. “Black and Blue” reached No. 1 on the Mainstream Rock Tracks while “Finish What You Started” reached No. 2, (also No. 13 on overall Billboard Hot 100), “Feels So Good” reached No. 6 and “Feels So Good” reached as high as No. 35.